Entertaining family and friends, particularly grandchildren, while enjoying time poolside was the priority for this client in their New York residence. 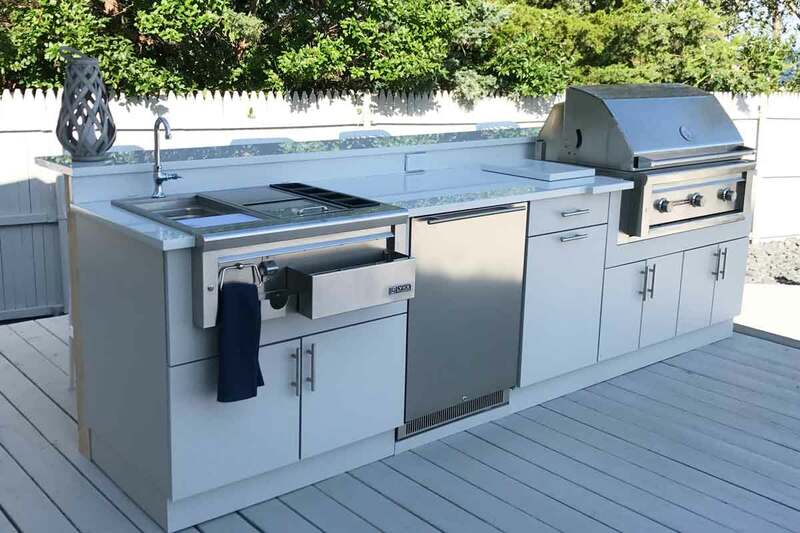 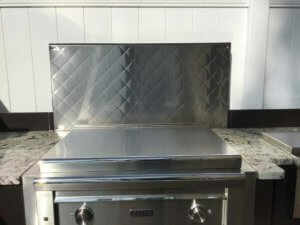 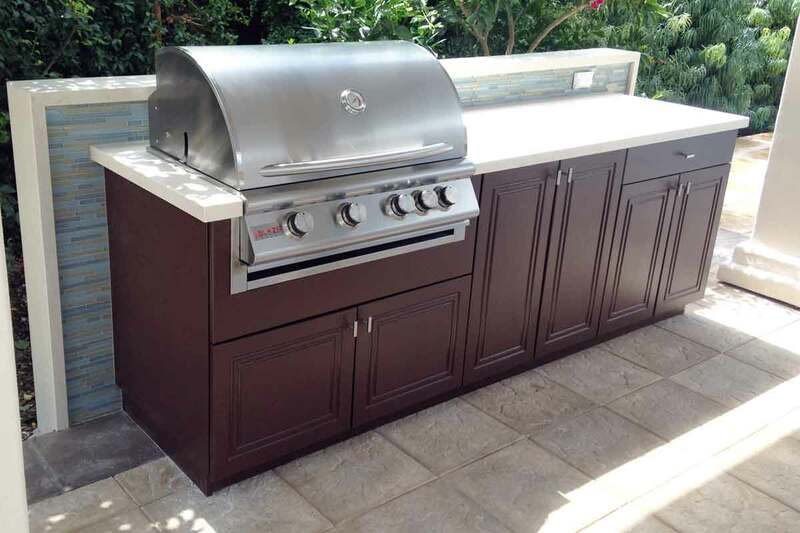 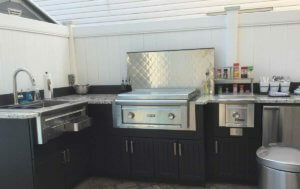 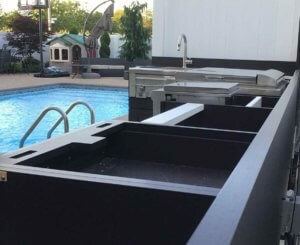 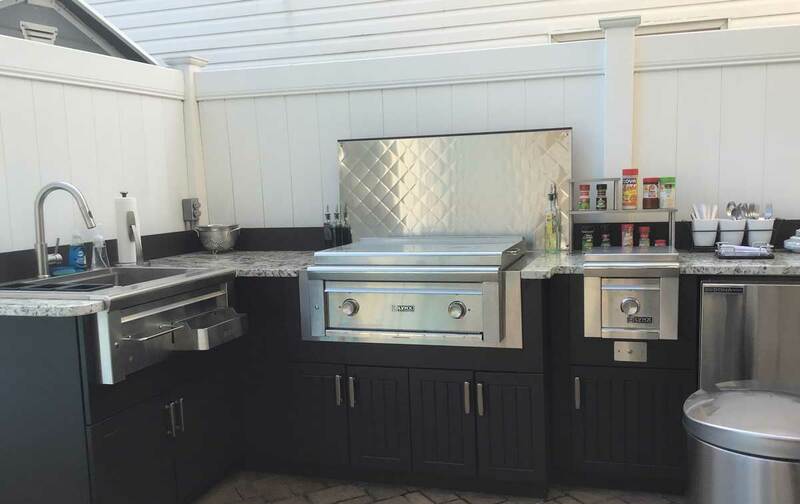 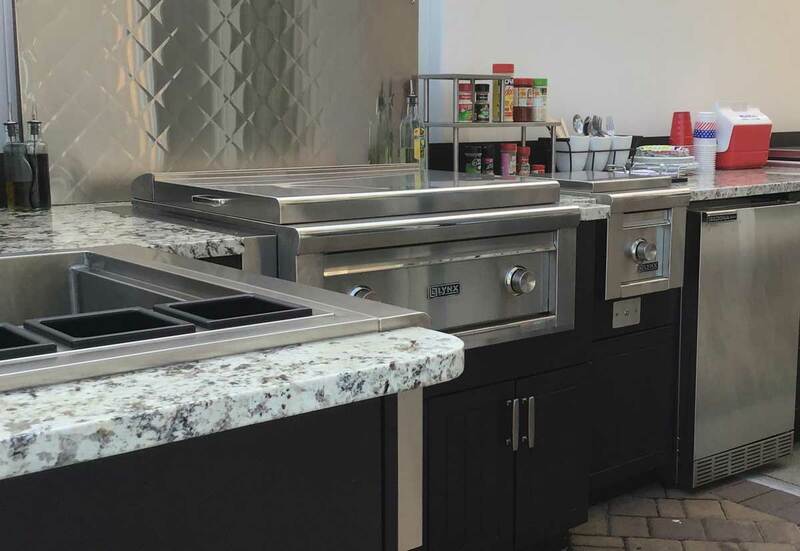 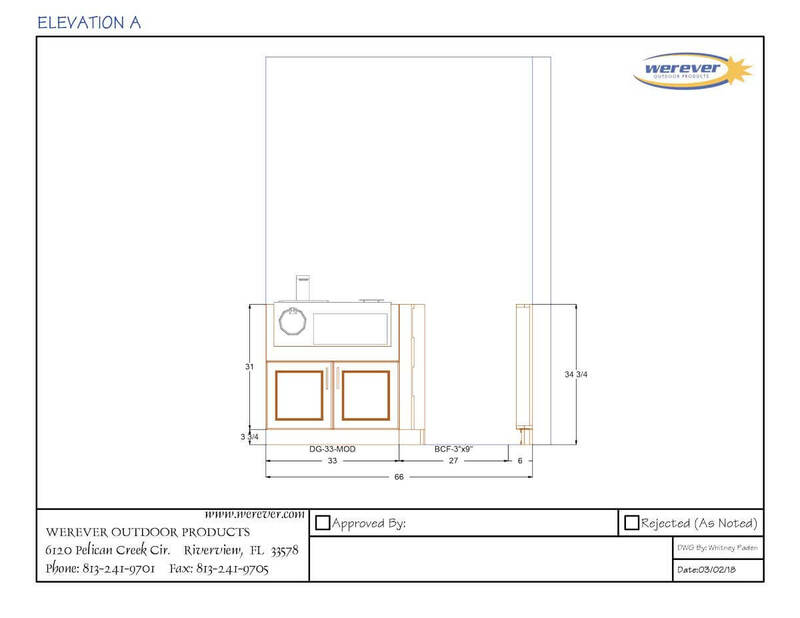 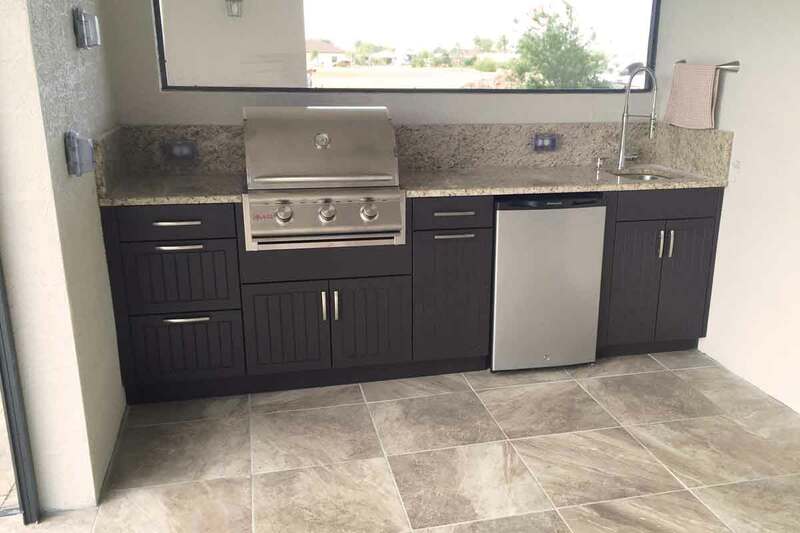 Instead of a traditional Grill, the client selected to use the Lynx Asado Griddle for primary food preparation, and a single side burner to complement. 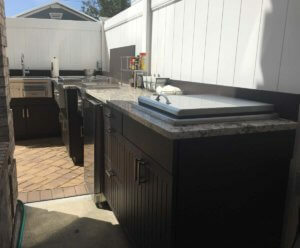 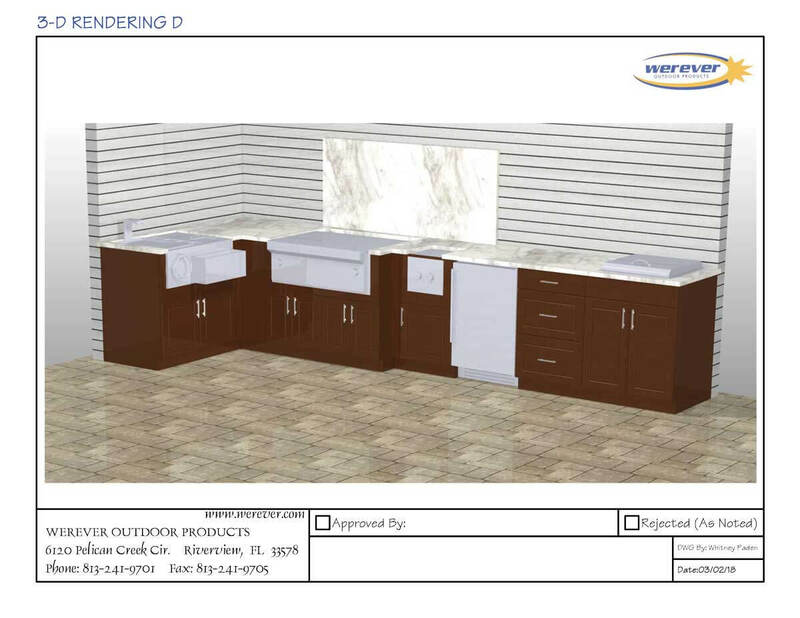 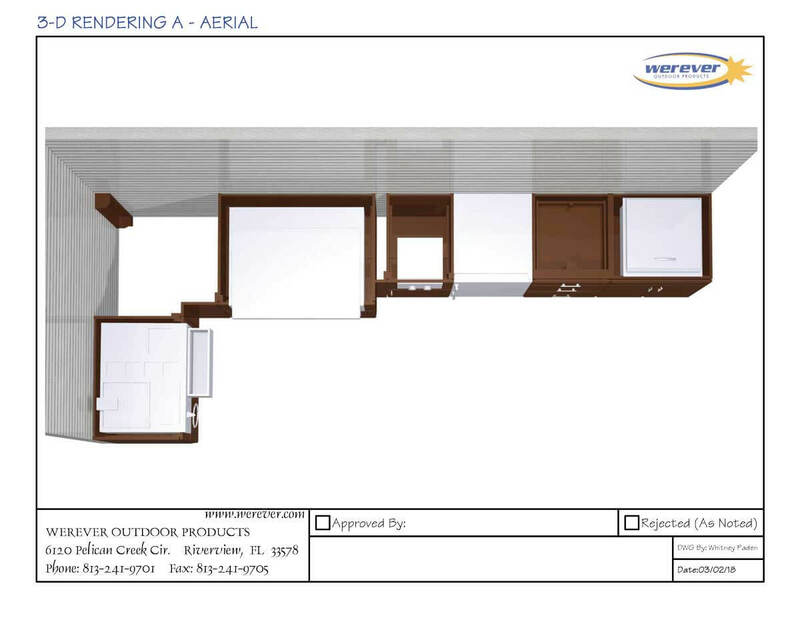 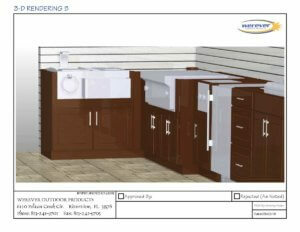 The Lynx Cocktail Center provides the convenience of a sink with added features of a towel holder, speed rail and condiment compartments, and a Drop-In Ice Cooler and undercounter Refrigerator hold beverages and ice for children and adults alike. 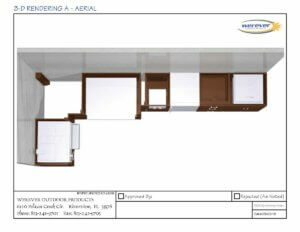 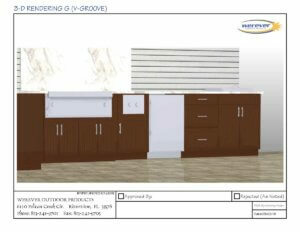 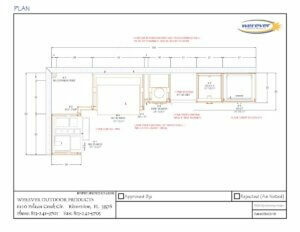 A combination of door and drawer storage provides sufficient space to store kitchen necessities. 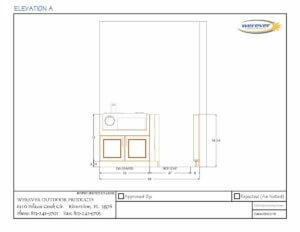 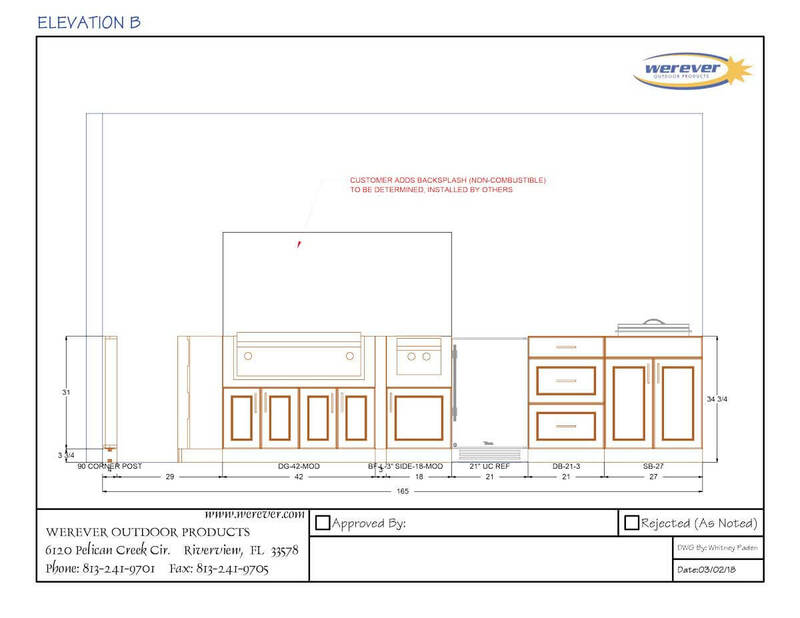 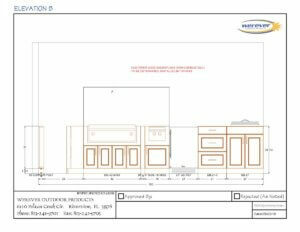 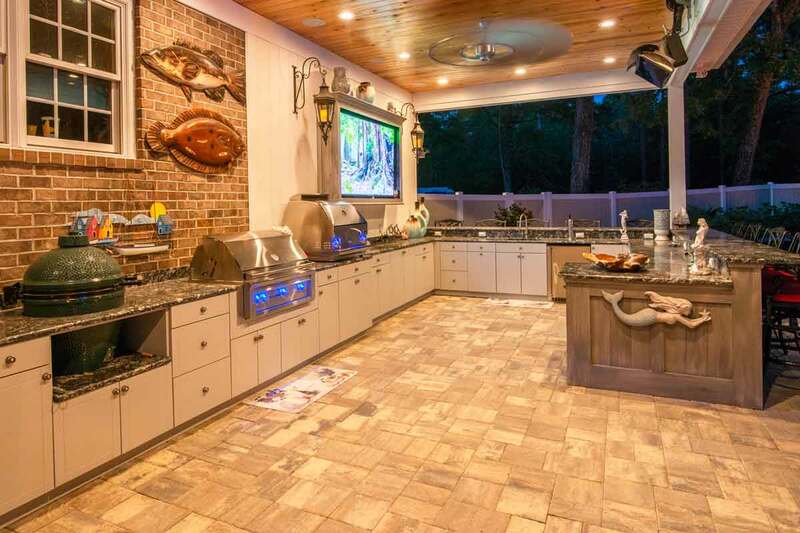 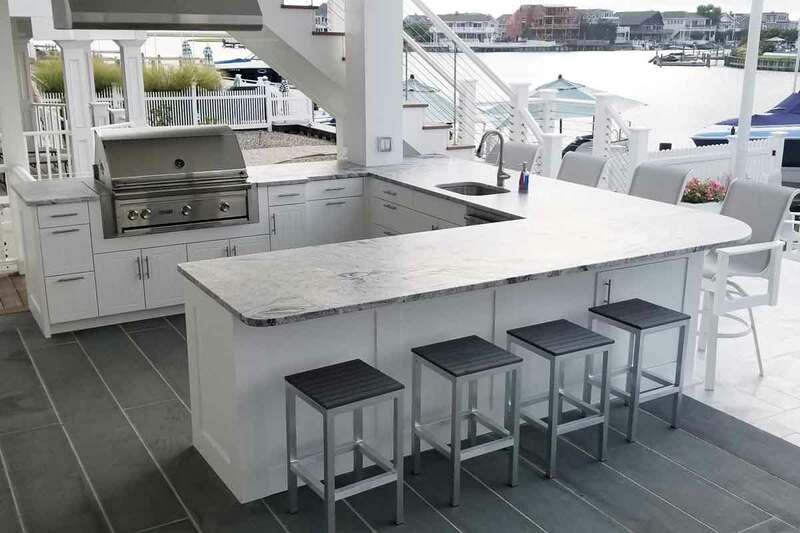 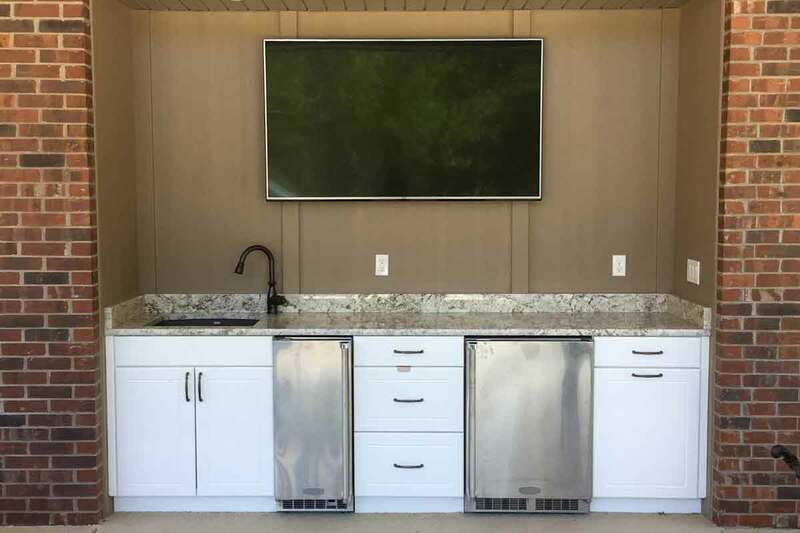 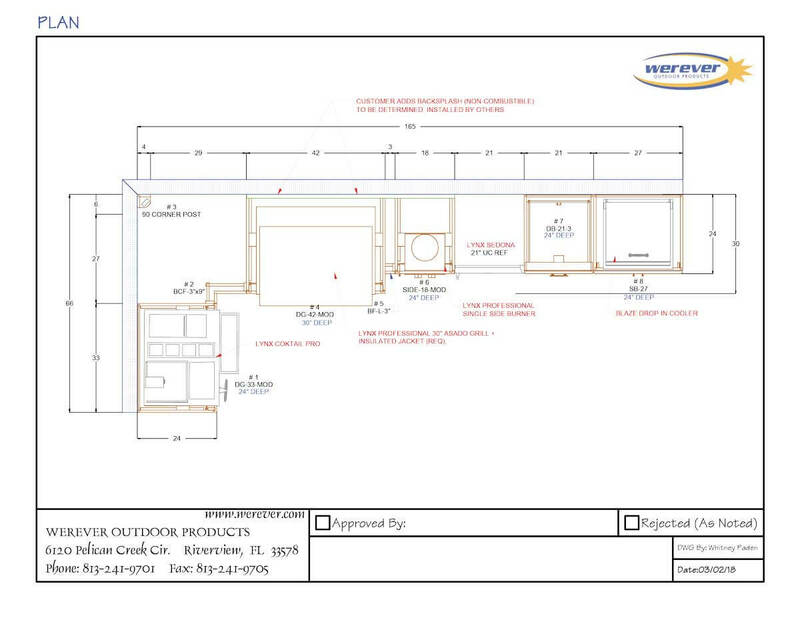 The outdoor cabinetry layout was carefully designed around the existing house structure, narrowing along the house wall, but still accommodating every request of the client, including appliances and storage needs.